For all my good intentions about not acquiring new books for awhile, I took a weekend jaunt to Half-Price Books on Saturday. My kids dragged me. They were culling their shelves, making room for back-to-school. I came across an old novel by one of my favorite novelists, Colleen McCullough. I don't know how I missed this one, since I've read nearly all her books and this is certainly right up my alley. I had to grab it while I had the chance. 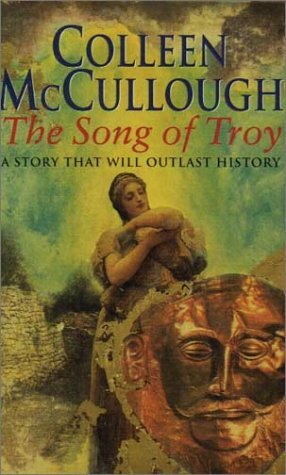 The Song of Troy by Colleen McCullough is (obviously) the story of the Iliad. It's told from multiple viewpoints. Each of the main actors get to tell his/her side of the tale. I love this epic tragedy. I've read multiple versions over the years. I also love McCullough's writing style. So I'm looking forward to seeing her take on this classic love story-adventure. As long as you meet the qualifications of a book blogger, you may add your book blog link into the linky list at Crazy-for-Books. But before you do that, there are a few requirements. Read up, to save yourself a headache with the linky! 1. Before you add your link, you must post about the Hop on your blog and link directly back to THIS POST AT CRAZY FOR BOOKS (not just the domain, but the direct post for this Hop). The linky is going to review the link that you enter in your submission, looking for a link to this post on your blog. If it doesn’t find one, your link will not be approved. This is called back linking and I had to institute it because people were taking advantage of the Hop and getting some free advertising without promoting the Hop themselves. You can read more about this here. My answer is the same as my Mailbox Monday answer. Only one new book (for me) came into my house this week: Franny and Zooey by J.D. Salinger. I bought it at the Borders going out of business sale. It came highly recommended by my sister -- years ago. Now that I own it, I'm determined to move it to the top of my TBR pile and see if it's as wonderful as she said. Mailbox Monday is a meme created by Marcia at A Girl and Her Books, that is now being hosted at different blogs on a monthly basis. This month, you can find Mailbox Monday links at A Sea of Books. Come have a look at the books we're all collecting! On Friday after work I made my sad, sad pilgrimage to Borders. Although we’ve seen it coming for a long while, it doesn’t make it any easier. I didn’t go hog-wild though. I bought a few books for my son who went with me. But as I wandered through the aisles, commonsense prevailed. I have to put a dent in my TBR pile before I heap anything more onto it. So I bought only one book for myself. 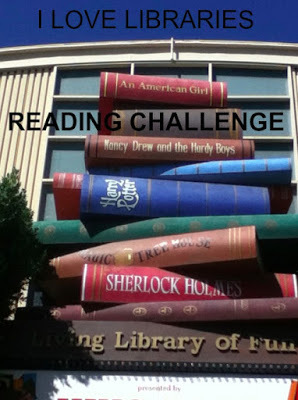 Years ago, my sister told me I should read Franny and Zooey by J.D. Salinger. My sister doesn’t recommend very many books to me. (Ella Minnow Pea was one, and it quickly became one of my favorites.) She couldn’t really describe to me what Franny and Zooey was about, she just said I had to read it. I’ve picked it up and put it down at bookstores a hundred times. I’ve contemplated taking it out of the library. It’s one of those books that is always there, so I’ve felt no urgency about getting to it. But now, here it was at the Borders going-out-of-business sale. So I decided it was time. I now own a copy. I guess that means I really do have to read it. It's time for The Literary Blog Hop hosted by The Blue Bookcase! 1. Grab the code for the Button. 2. Answer the following prompt on your blog. Yes, I think literature can be usefully incorporated into therapy. Not for everyone or for everything, obviously. Christina addressed very nicely the value of the books that demonstrate to individuals that problems are not unique. Help is out there. But as for how much literature can help troubled individuals (how viable a form of therapy is it?) -- that's not something I feel qualified to discuss. Music therapy, art therapy...all these things have been shown to be useful in certain situations. Literary therapy can be too. But it would have to depend on the person and how they respond to different art forms. Reading is soothing. A couple years ago my daughter needed some minor surgery. She was as fearful of the anesthesia as she was of the surgery. Crowded in the little pre-op cubicle, we read aloud to her from Tales from Watership Down. She didn't need as much premedication. The time passed more quickly. We were all stressed, but not as stressed. Is literature more therapeutic than grabbing any old book? I'll go anti-book snob here and say no. Good literature may be better for the mind. In the long run, it gets inside you and is better for the soul. But if you're talking "therapy," it depends on who is doing the reading, what mood they're in, and what they are looking for when they pick up the book. Literature is often uplifting, but sometimes it can be a real downer. Fluff is forgettable enough, but when you read it, it can bring a smile to your face. Sometimes I don't need to read a book that is improving, I just want a little boost. Reading is therapeutic. It doesn't have to be great literature. Sometimes, the best way to get myself to read a book is to borrow it from the library. If a book sounds good and I buy it, it tends to go on my shelf to wait its turn. Then it can be a very long wait, even for books that I want to read very much at the time of purchase. But a library book has to be returned, so there’s a sense of urgency. Especially if there’s a waiting list and it can’t be renewed. It begins with Hadley Richardson at twenty-eight. She has had a difficult upbringing and feels now as if life might have passed her by. But she goes to Chicago to visit a friend and there she meets the twenty-one year old Ernest Hemingway. He is so full of energy and enthusiasm, he brings out the best in her. At least, she feels alive again. They are mutually smitten almost at once. Before long, to everyone’s surprise, they marry. Hemingway is profoundly ambitious and Hadley is his most ardent supporter. A friend recommends that they go to Paris where the living is cheap and artists abound. He provides letters of introduction, and off they go. There they meet the famous ex-patriots Gertrude Stein, Ezra Pound, F.Scott Fitzgerald, and others. Ernest works on his writing and Hadley gives him all the support she can. They are surrounded by hard-drinking friends with unconventional ideas (particularly unconventional ideas about marriage), but everyone seems to agree that what Ernest and Hadley have is the real thing. From the descriptions of their days together, Hadley’s deep understanding of Ernest’s psychology, and her very sincere willingness to sacrifice for his career, it does seem that their marriage stands a fighting chance. That just makes it all the more poignant. Their marriage works best when they are young, poor, and struggling. As Hemingway gains success and recognition, he loses perspective. He pushes away many of the friends who helped him in the beginning. Hadley has always been aware of her husband’s faults, but she trusts him. So when the final betrayal comes, she is blind-sided. This is a beautiful and painful book about love, ambition, artistry, and the trickiness of marriage. 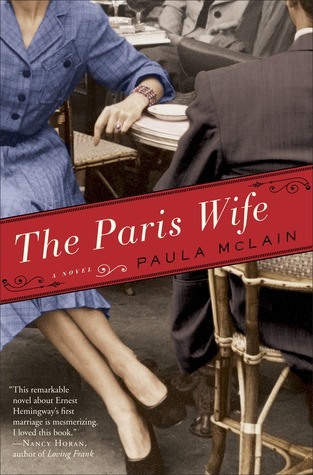 The author does a wonderful job of inhabiting Hadley’s world, bringing Paris of the 1920's alive, writing with an almost Hemingway-esque voice. All along, despite Hadley’s seeming dependence on Ernest, she is the one with the true strength, the true unwavering sense of self. It’s an insightful character study for both of them. I’m glad I didn’t let this one languish on my shelf! 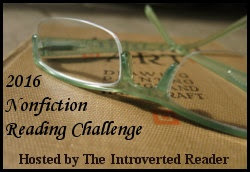 I'm making progress on the Historical Fiction Challenge. 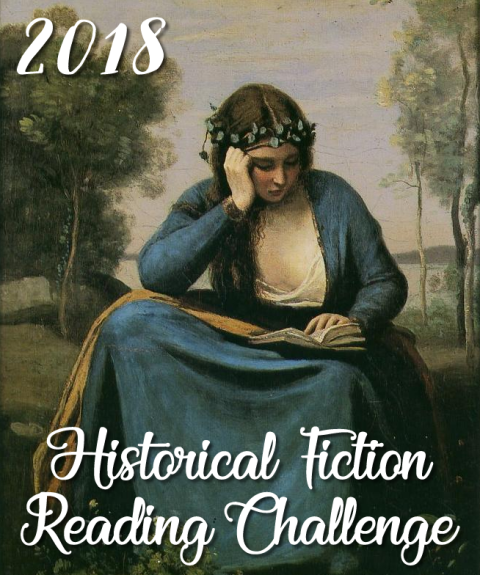 Come on over to Historical Tapestries to check the links and discover other wonderful novels to add to your TBR lists! At some point in the educational process, you likely caught a whiff of Gilgamesh. For me, I believe I was exposed to a short excerpt and summary way back in high school. But tantalizing as the "whiffs" of something so great and huge and lasting may be, they can also have a dampening effect. Yeah, I learned about Gilgamesh once. Weird. And, well...kind of long, wasn’t it? There is something awesome about legends that survive for 5000 years give or take a few. And The Epic of Gilgamesh, which comes from all the way back in Mesopotamia, is about as enduring and filled with mythological deeds as you can get. Nevertheless, my initial reaction was fairly typical. "Huh?" I always regretted not "getting" Gilgamesh. I should have read the whole thing. I should have put more effort in. But the thought of going back to it is daunting. And then, last year, I saw Gilgamesh by Herbert Mason in my daughter’s pile of school books. There it was. Staring me in the face. Commanding me to read it. Instead, I waited for her to tell me about it. Maybe it had gotten better since I was a kid. She had the usual adolescent’s reaction to a 5000-year-old Mesopotamian legend. And I thought, maybe this is a hurdle I don’t need to jump. But then I met Shauna Roberts at the Historical Novel Society conference, one of the many delightful authors I was able to spend time with in San Diego. She wrote a novelization of the epic. A historical novel? That’s what I needed. I bought the book on my new Nook. Like Mayflies in a Stream by Shauna Roberts gives us the story primarily through the eyes of Shamat, a priestess who knows firsthand the suffering of the people of Uruk because of the unbridled passion and restlessness of their powerful king Gilgamesh. He is a man who lives for the moment and thinks only of his own wants. And it seems that what he wants most is a playmate, someone equal to him in strength and speed who can help him burn off his energy. A nomad named Zaidu, living outside of Uruk, is the first to discover the wild man. Something is breaking his traps and ruining his hunting. When he discovers it is a not a monster but a man, he cannot kill him, so he goes to the king for help. The king sends Shamat to tame the wild man, whom she names Enkidu. For those who know the story, I don't need to outline it, and for those who don't, I don’t want to give any more of it away. Like Mayflies in a Stream follows the outline of the Gilgamesh epic closely enough to keep the flavor of the legend but by focusing on the courageous and self-sacrificing Shamat more so than on the king and Enkidu, Roberts is able to tell a much more sympathetic tale. The ancient Mesopotamian world comes alive with a beautiful mixture of complex ritual and simple every day tasks, all richly described. If that isn’t enough, a touching love story gives depth to Shamat’s character. These are not just mythological figures, but people. So am I now inspired to dig into my daughter’s book for more Gilgamesh? Maybe. Or maybe I’ll just savor Roberts’s interpretation for awhile. Here's the book I bought today: Unbroken. 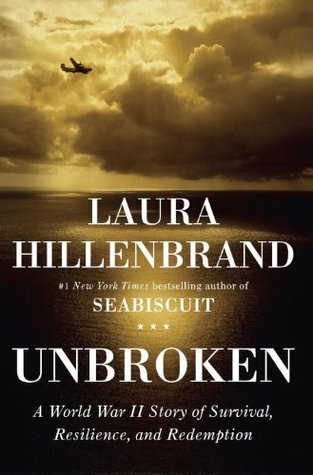 A World War II Story of Survival, Resilience and Redemption by Laura Hillenbrand. I've heard some buzz about the book and thought it sounded interesting, but I don't read a whole lot of nonfiction except for research or for things I have a particular interest in. However, this is the July selection for a book club I've participated in before and am trying to attend more regularly. I downloaded the sample pages on my Nook and I have to say, I can't remember ever reading a more riveting preface. We were out at my local independent bookstore today (hooray for the indies!) and I bought the book. (I still prefer paper to the Nook.) I'm determined to make it to this month's book club meeting, so now I have to read the book. Has anyone read it? Is it as good as the preface? In her long-awaited new book, Laura Hillenbrand writes with the same rich and vivid narrative voice she displayed in Seabiscuit. What is one of your favorite literary devices? Why do you like it? Provide a definition and an awesome example. I had an idea for what I thought I would answer, but after looking up a handy reference of "literary devices," I’m not sure my answer would count. So, I’ll go first of all with bildungsroman, or a coming-of-age story. The protagonist shows personal growth (moral, spiritual and/or psychological growth) throughout the timeline of the story. Generally speaking, this is something we look for in most good literature, isn’t it? We want our main characters to grow? I guess in some of the heavily plot-driven stories the main point is to get the characters from point A to point B action-wise, but for me, if the character isn’t changed by what he has gone through, there isn’t much point to all the hullabaloo. One example of bildungsroman that comes to mind simply because it’s a book I read recently (and because the writing doesn’t get much better) is To Kill a Mockingbird by Harper Lee. Over the course of the book, Scout loses her innocence and gains an understanding of the prejudices of her small town. But her own moral position also solidifies. Now that I’ve answered that, I’ll just mention the literary device/gimmick that is actually nearest and dearest to my heart. I’m a sucker for epistolary novels. (Included in that can be diaries, letters written to oneself.) I think that to successfully tell a story – and make it riveting – make the characters come alive – but do it in a letter format, has got to be a difficult feat for an author. One obvious example of someone who achieved this was Anne Frank. Another favorite of mine, read back in college was Les Liaisons Dangereuses by Choderlos de Laclos, the story of two French aristocrats who challenge each other to greater and greater feats of immorality, and boast to each other in their letters. (Eventually they get their comeuppance.) 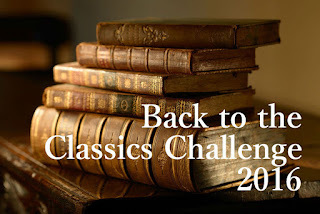 I plan to reread it for the Back-to-the-Classics challenge and see if I enjoy it as much the second time around. Although I’m usually quite content sticking with historical fiction and the occasional classic, every once in awhile I feel I should read something outside my comfort zone. I need a little exercise for my brain. The book reviewer on NPR is great for piquing my interest in "different" books. Like The Lady Matador’s Hotel by Cristina Garcia. Not my usual fare but I loved it. More recently, a review for I Think I Love You by Allison Pearson grabbed my attention. The reviewer made the book sound so tempting I had to add it to my list. The first part of the story is set in Wales in 1974. We can debate whether this is historical fiction, but considering the subject matter, and the fact that the second half shifts to 1998 where a contemporary woman reminisces about her 1974 tween self, I’m voting for no. It’s more of a fictional memoir than historical fiction. 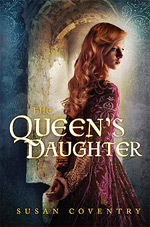 Petra is the book’s thirteen-year-old protagonist. She’s very insecure, dominated by an unhappy mother who is constantly judging her and finding her lacking, and bullied by a queen bee/mean girl who heads up their school clique. However, what primarily shapes Petra’s young life (and drives the plot) is that she is desperately in love with David Cassidy. David Cassidy the American pop star. Keith Partridge for anyone who remembers 1970's T.V. In fact, Petra’s whole clique obsesses over David, including her best friend (only friend?) Sharon. They spend long hours discussing him, reading about him, and listening to his music. In between, Petra agonizes over her marginal place in the clique. Will Gillian (the queen bee) kick her out of the group for some arbitrary reason? Or might some miracle occur that will allow Petra to gain Gillian’s favor and feel she truly belongs? There is a parallel story. One of the fan magazines that they read, The Essential David Cassidy Magazine, is produced in Wales. The main feature writer, Bill, is a twenty-something college educated English major who has discovered to his dismay that writing for a David Cassidy fanzine is the only job he can get. He has to answer David’s mail and write letters and articles as if he is David. And the worst thing is, he’s quite good at it. Part one revolves around David Cassidy to such a degree that, well, I almost gave up on the book. I understand that the obsessiveness of Petra’s tween love was important for the whole theme, but I found that I didn’t particularly enjoy obsessing over David Cassidy. Plus, the whole mean-girl genre for tweens is getting a lot of attention currently, and I don’t really need to be reading that much of it. Overall, I found the thirteen-year-old Petra to be relatively uninteresting. However, Bill amused me, and I did want to know what was going to happen with him. That kept me reading on until we shifted gears to 1998. At that point, I became more interested in the story. Petra is now a grown woman. In a single day, she learns of her mother’s death and that her husband (a serial cheater) has decided to leave her for a younger woman. While grieving and cleaning out her mother’s wardrobe, she finds a letter announcing that she was the winner of a long ago quiz contest. The prize was an all expense paid trip to LA to meet David Cassidy. Her mother hid the letter. Petra is shocked into action. She tracks down the corporation that bought out the magazine that held the contest (The Essential David Cassidy Magazine) and asks to claim her prize. The book is filled with observations about tween obsession with celebrity. It has a lot to say about the awkward years (young adolescence and early middle age.) I Think I Love You is, not surprisingly, a book about relationships. And although I probably didn’t need to spend quite so much time reading about someone’s imagined relationship with David Cassidy, the book did reward me for sticking through to the end. The Hop lasts Friday-Monday every week, so if you don’t have time to Hop today, come back later and join the fun! This is a weekly event! And stop back throughout the weekend to see all the new blogs that are added! There are over 200 links every week!! This week’s question comes from Sue who blogs at Cookie’s Book Club ! Thanks for submitting a question for our Hoppers, Sue! Be sure to visit her blog and tell her thank you! What makes me put a book back on the shelf? I don't like graphic violence, particular when it's used as a device to grab a reader's attention at the opening of a book. If an author uses violence against, torture of, or terrorization of a child as a "hook," it pretty much guarantees I'll not be reading that book. Now I'm off to see what others have to say!